Montenegro or the „Black Mountain“ is a small and beautiful country located in Southeastern Europe. It has a coast on the Adriatic Sea and it is bordered by Croatia to the west, Bosnia and Herzegovina to the northwest, Serbia to the northeast, Kosovo to the east and Albania to the southeast. The official name of the country is Crna Gora with the largest city which is also the administrative and economic center, Podgorica that counts 173000 inhabitants. The old Royal Capital is Cetinje and in the present day this is the historical and the cultural center. Up to the middle of the year 2006 the country had been a part of the Confederate State Union of Serbia and Montenegro but on 3 June the same year it declared its independence. 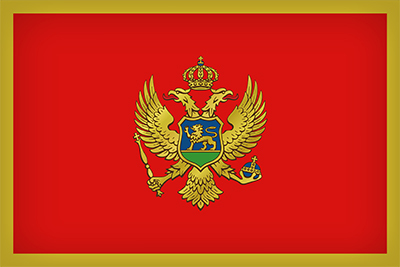 On 2 December 2015 Montenegro received an official invitation to join NATO and it is also a candidate to join the European Union. The official currency is EURO. Until 1992 the official language had been Serbo-Croatian, but since 2007 is the Montenegrin despite the fact that the question about the language is still acute today. Most of the inhabitants in Montenegro are Orthodox Christians. There is also a number of Sunni Muslims, precisely 20% of the population and this is the largest minority religion in the country. There is as well a small Catholic population. With an area of 13,812km², Montenegro is covered with an extraordinary natural beauty and it is a cradle of great history, culture and tasty national food and wine. This country deserves to be discovered.